Online Used Cars – It’s All About Convenience! With so many products in the market, physical spaces began to shrink. And then, internet came into the picture which was huge, convenient and easily accessible. Within a short span of time, this World Wide Web has become quite prominent amongst all of us. Today, every shopping is possible on internet. Even the used cars online are in trend these days. People prefer purchasing pre-owned cars from online due to so many benefits that they get along with the deal. Here’s what to look out for from the used cars online. Just imagine! You are sitting on your couch, enjoying your cup of coffee with various options of used cars online in front of you. 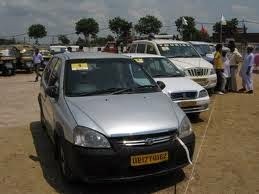 With few clicks on your laptop, you can actually get a second hand car parked in front of your house. Don’t worry about your favorite brand, used cars online are wide in variety. There are so many options available that you can’t even imagine. Online products are less in price. That’s how these people attract more and more customers. So, if you are looking for something less expensive and also good in quality, then used cars online is the perfect option for you. Shriram Automall India Limited (SAMIL) offers a wide range in pre-owned cars online through its online bidding platform. It is one of the most lucrative platforms to carry out the exchange of second hand cars as you get best price realization on the asset. 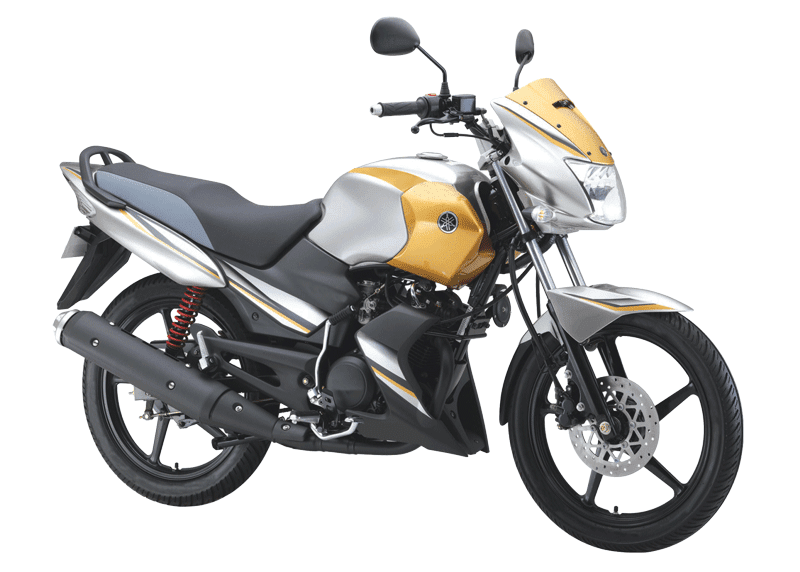 How to Maintain a Used Bike in India? Bikes in India have been ruling the roads since more than 50 years. It is a favorite pick for all the young men out there who look for both speed and style to ride on. Used bikes in India have also been in trend since ages. The country is full of congested roads and in such a scenario, only bikes can ride with ease and comfort. Buying a used bike in India is not that difficult but its maintenance demands a lot of attention. Let’s check out some tips on the same. Make sure that a pre-owned bike undergoes preventive maintenance on a regular basis. It not only ensures a long life of the vehicle but also reduces the chances of its unexpected breakdown. No matter how much you trust your second hand bike or yourself; at the end of the day, you are riding on a machine only. If you are unable to control it properly, it can be destructive for you as well as for others on road as well. Judging distance and speed at night gets quite difficult. Visibility gets poorer and even the headlight of oncoming traffic can blind you. In such a scenario, it is very normal to lose the concentration over road. Make sure, your speed is slow so that you can stop on time. Now, that you have hands on a used bike in India; it’s time to finally purchase one for yourself. Get in touch with Shriram Automall India Limited (SAMIL) for some exciting options in used bikes. Shriram Automall India Limited celebrates Independence Month while saluting the dreams of its customers. Now, participation in our Online Bidding Events is absolutely free as we bring you an exciting offer for the month of August. 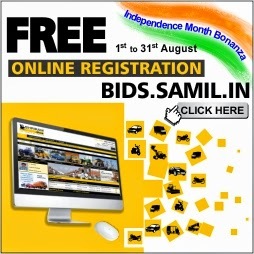 Online Registration at bids.samil.in is absolutely free for everyone from 1st August to 31st August, 2014. And, the best part is this registration is valid for a lifetime. Before you go ahead with the registration, take a quick glance at the benefits of online bidding. So, don’t waste your time and get yourself registered at bids.samil.in in Rs. 0. It’s a free ticket for the most exciting rides of your life ahead. So, get ready for a Happy Bidding experience! Because, when we call it Special, it means Unique.